Well there I go again, discovering a California wine in another state. When I was visiting my sister in North Carolina we sat down and enjoyed a few glasses of wine (It may or may not have been more than a few – there is no photographic proof on Instagram to bust us). 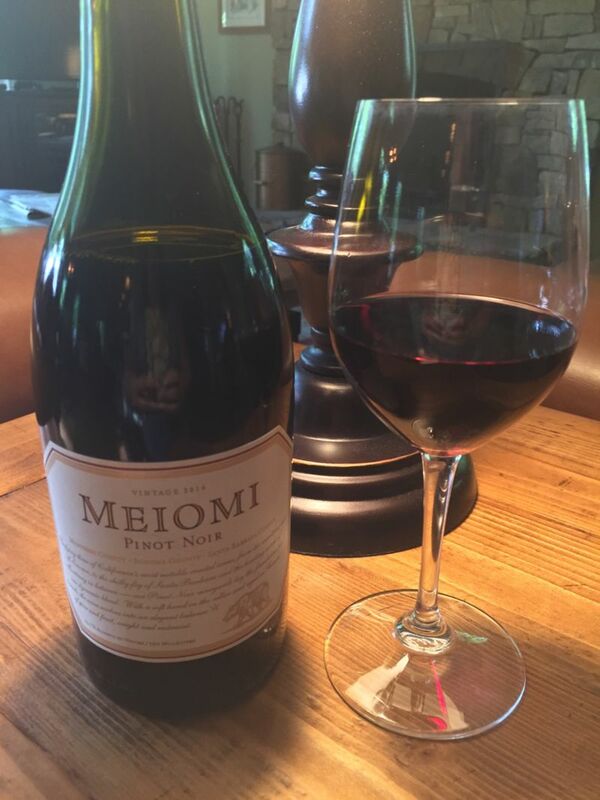 She served me Meiomi Pinot Noir as her go to bottle. My sister typically loves Malbec, so I was surprised when she pulled this out and said this was her regular sip. However, all was revealed in my first tastes. 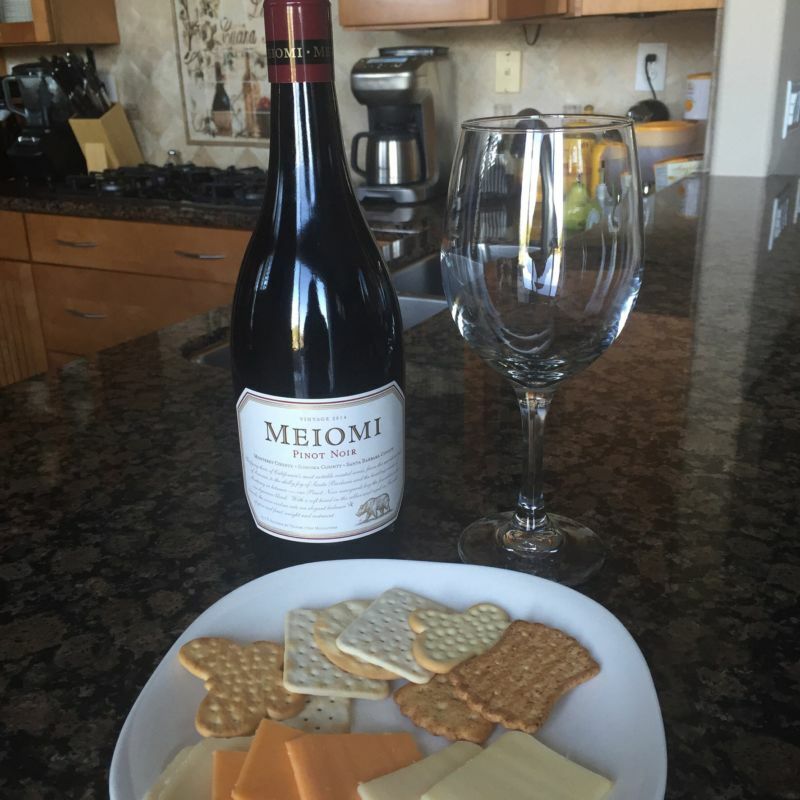 The wine is, as one would expect from a Pinot Noir, of light to medium body. It has some fruit on the palate, but not as much as many similar wines; the surprise came at the end with hints of black pepper and slight oak; which were far more like her beloved Malbec. Now, it made sense. This wine has little to no tannins so it’s very drinkable in just about any situation. I loved it with Havarti cheese and crackers. In North Carolina I purchased this bottle for about $14.99-$16.99. (Remember that we may or may not have had more than a few glasses (bottles) of this?) Online I have seen it sold for just under $20. The Brit Comments: On California Girl’s return to The Golden State, she found a couple of bottles at Trader Joe’s for $14.99. I enjoyed the wine. It is a 2014 vintage, so fairly young, but is drinking well now. In addition to the fruit and pepper, I detected a hint of licorice. This is a California wine, with its grapes sourced from several AVA, including Sonoma and Santa Barbara.